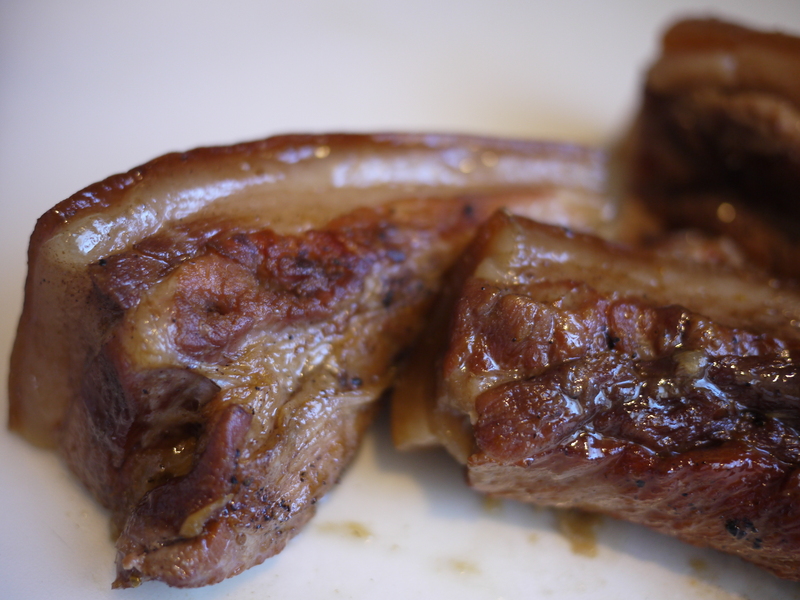 get in my pork belly! i made pork belly buns for my two favorite people in chicago. 🙂 and then i perfected it this weekend to make for my favorite person in plano–my mom–for mother’s day. i was afraid that my mom would think it’d be too fatty, but to my surprise, she said “the best part is the fat. so good.” yep, we’re definitely related. i’m pretty sure the following recipe would do well in a slow cooker for 6-7 hours, but i’ve had an obsession with using my pressure cooker, so i adapted my recipe based off of other recipes i read on the web. Cover and lock the pressure cooker, reduce the heat to medium and cook for 45 minutes. Let the steam run out of the pressure cooker until the indicator pops down (aka follow the instructions so you don’t burn yourself). Carefully take off the lid and check on the pork belly. The sauce should be thickened and there should be a lot less of it. 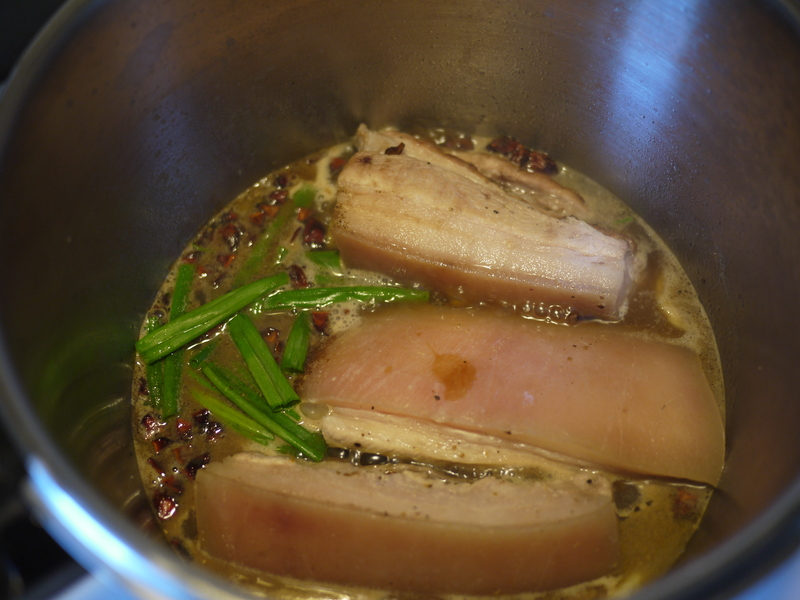 The meat and fat were already soft, but I had some extra time before serving dinner, so I poured in a few more cups of water and let the belly cook for another hour on medium-low heat, with the lid fully on. Steam some store-bought frozen mantou buns in the rice cooker for 10 minutes. 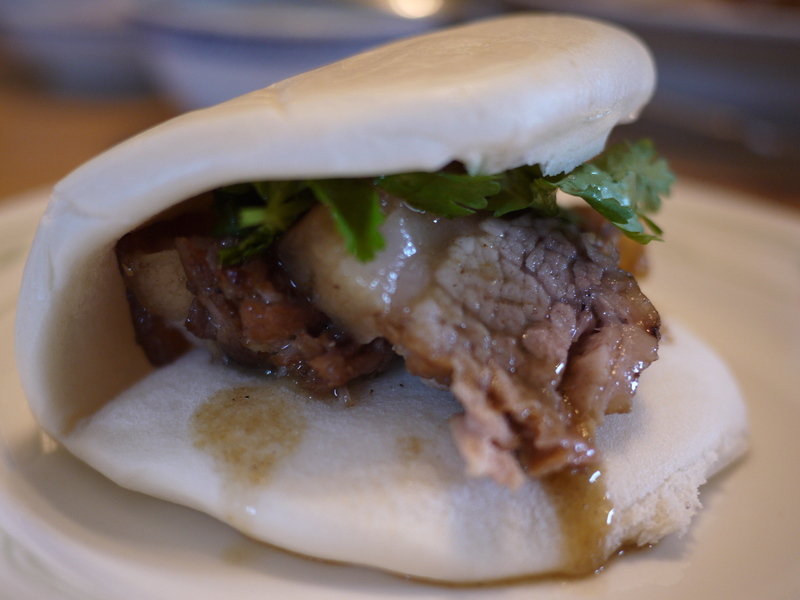 Serve belly with cilantro (or pickled mustard greens), the thickened sauce (or hoisin sauce), and the buns.